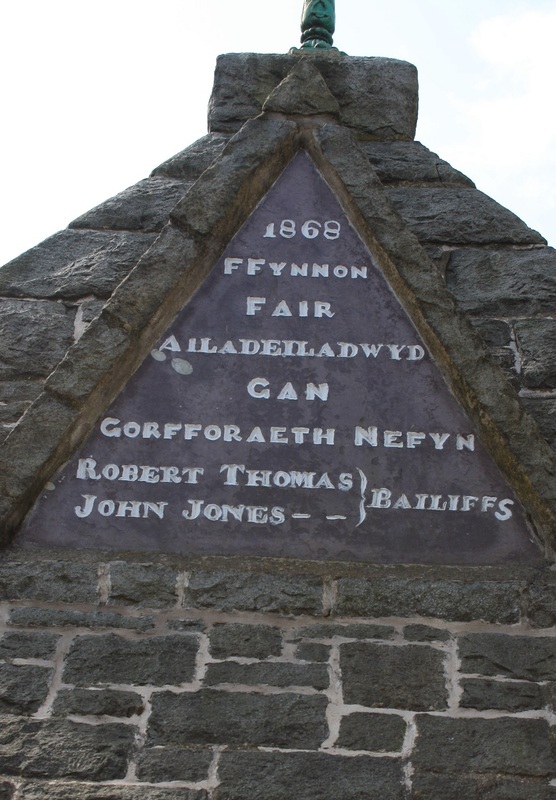 Very very little is written about Ffynnon Fair, St Mary’s Well, in Nefyn which might be considered surprising considering its prominent position by the side of the main road through the town. This location, on the main route from Caernarfon to Aberdaron leads to the inevitable assumption that this was once a significant well on the Bardsey pilgrimage trail, falling as it does in quick succession after the important wells of St Beuno at Clynnog and St Aelhaearn at Llanaelhaearn. Nefyn was a thriving town throughout the pilgrimage period and home to a priory close to the well site. 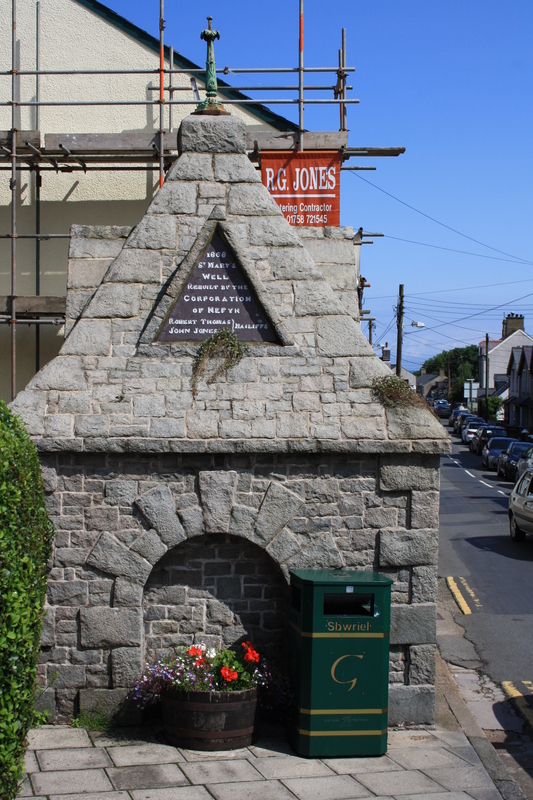 What we see today, however are the remains not of a holy well but of Victorian municipal building, the well, the original of which may not have been at this precise location, having been converted to a town water supply in 1868, a fact commemorated by two plaques, one in Welsh, the other in English on either side of the building. 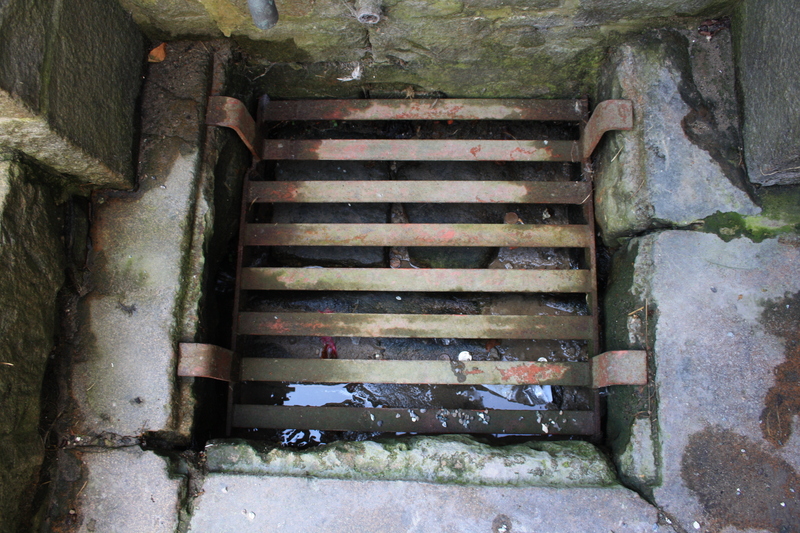 Steps lead down from the roadside to a metal grill through which the remains of silted water can be seen, but we cannot determine whether the foundations are the remains of an earlier pool or whether the whole is the work of the nineteenth century.